Bankruptcy procedure against tycoon Ismailov extended | Russian Legal Information Agency (RAPSI). MOSCOW, March 26 (RAPSI) – The Moscow Region Commercial Court has extended bankruptcy proceedings against wanted businessman Telman Ismailov for six months, according to court records. According to the debtor’s estate administrator Valery Kubelun, the bankruptcy procedure extension is necessary for a full revealing of the businessman’s assets, formation and realization of the bankrupt's estate. The court opened an asset disposition procedure against Ismailov on March 16, 2017, declaring him bankrupt. In December 2017, the businessman was charged in absentia with murder and illegal arms trafficking and put on the international wanted list. He could face life imprisonment if convicted. According to investigators, Ismailov organized the murder of businessman Vladimir Savkin and founder of Lublino-Motors auto service centre Yury Brylev in May 2016. In preparing the crime Ismailov, investigators believe, was assisted by his brothers Rafik and Vagif Ismailovs, whereas the murder was allegedly committed by Mekhman Kerimov, who pleaded guilty. He was sentenced to 13 years in high security prison in spring. Rafik Ismailov has been placed in detention, Telman and Vagif Ismailovs have been arrested in absentia by a court decision. 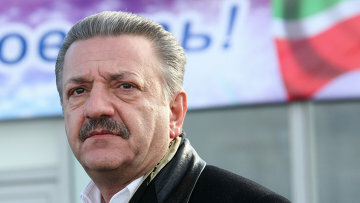 Telman Ismailov, who controls AST Group, is one of Russia’s richest men. In 2009, he clashed with law enforcement authorities over the Cherkizovsky outdoor market, which evolved from a mere flea market into an industrial-scale distribution hub for Chinese imports during the oil boom. The market was closed after sanitary authorities found major violations.